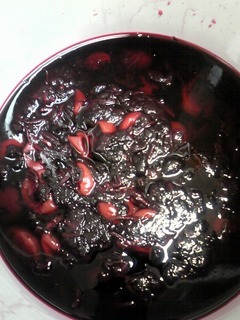 I made plum wine and umeboshi(pickled plum). To make umeboshi, the Japanese pickle green plums in salt with red shiso leaves. When rainy season ends,dry them in the sun and soak them again in the vinegar from the plums. 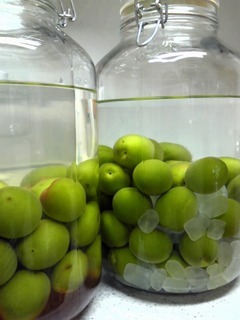 The plum wine is mature about 3 months. I made it in mid-June. It will be ripe for drinking when Kate come from Sweden. I would like to propose a toast to Kate!